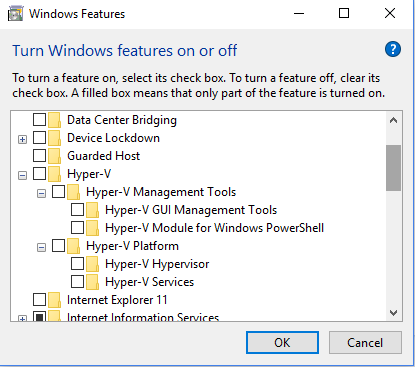 VirtualBox Won't Run - raw-mode unavailable courtesy of Hyper-V? I was using the downloaded VM of the ERPNext in virtualbox on a PC without issues. 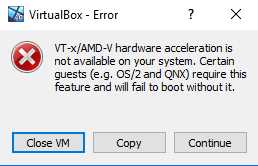 I decided to move it to another PC with bigger capacity and better performance but the error message in the below screenshot popped up and virtualbox would not load. 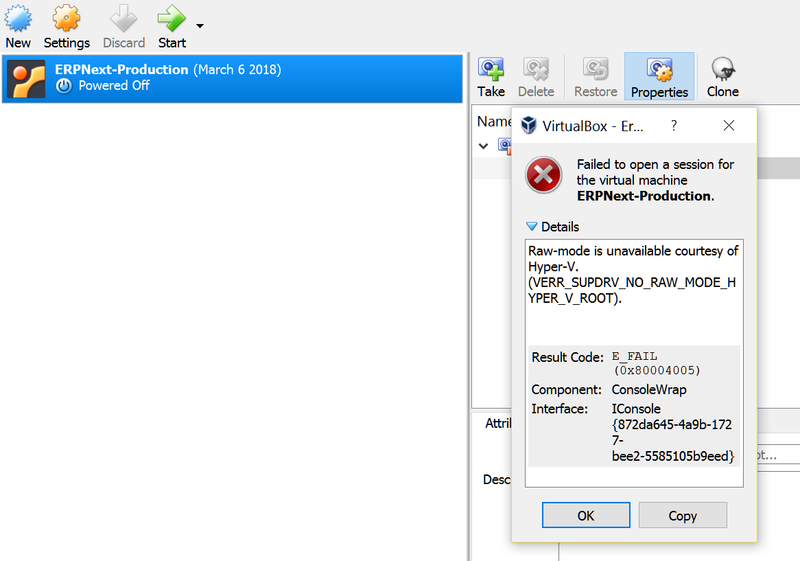 It appears virtualbox is affected somehow by Hyper-V on the new machine. Any ideas how I can resolve this? I have the same issue, and Hyper-V is not on. Any idea on what to do? 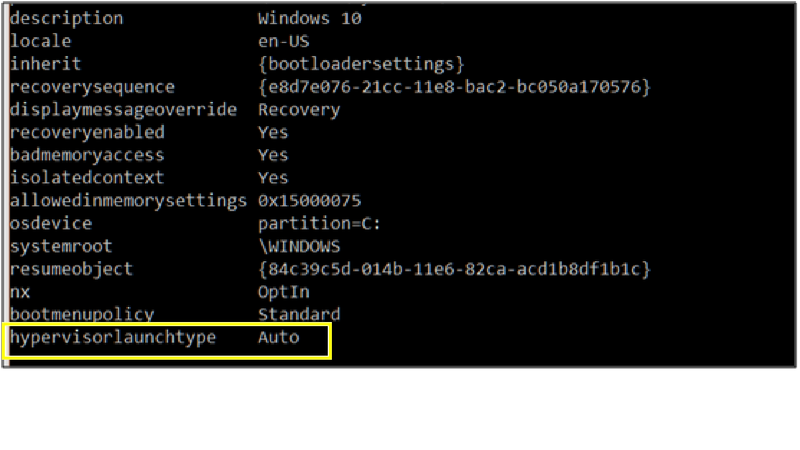 How about temporarily turn off virtualization in the BIOS? That might persuade Hyper-V to let go here? Deploying and managing Windows Defender Credential Guard using Group Policy, the registry, or the Windows Defender Device Guard and Windows Defender Credential Guard hardware readiness tool. Yes, finally i managed to make it work. Sirjames, I used your suggestion, but deactivating (bcdedit /set hypervisorlaunchtype off), restart and reactivating (bcdedit /set hypervisorlaunchtype auto) does nothing for me. And than i have tried only the deactivation part (bcdedit /set hypervisorlaunchtype off) and restart… Now I have 4 VM’s running in the same time and no issue. Also ensure that Windows 10 developer mode isn’t enabled. The answer to this thread left me with a BSoD upon restarting, does anyone know why? What’s the error code on the BSOD? Hi @MirkoD2, did you restart your PC after you tried the command? a) If you did not RESTART the system after you tried the command bcdedit /set hypervisorlaunchtype off. b) If you SHUTDOWN the PC (instead of RESTART) after the bcdedit /set hypervisorlaunchtype off command. Then I tried the bcdedit /set hypervisorlaunchtype off command again and restarted the PC. That was when it worked.